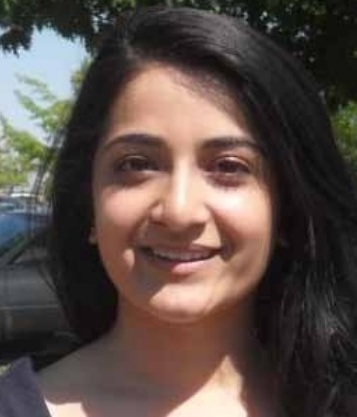 The National Association of Environmental Professionals (NAEP) has selected Ms. Janaki K. Khatri as winner of the 2013 Jim Roberts Scholarship. In 2013, Ms. Khatri, an under- graduate student from New Jersey, attended Rosemont College in Pennsylvania, where she was working toward her Bachelors of Science degree in the double major Biology and Economics. Announced in April 2013 at the NAEP Annual Conference in Los Angeles, California, the $1,000 scholarship was awarded in recognition of Ms. Khatri’s scholastic achievement, her strong essay, her ethical character (as demonstrated by the references that were provided in support of her), and her drive and efforts to make a positive change in her local environment. Congratulations Janaki on this accomplishment! NAEP is pleased to once again be able to offer the Jim Roberts Scholarship in 2017 to a deserving student who is enrolled in an environmental program of any accredited university or college in the United States, its territories, or Canada. The scholarship application and submittal requirements and deadlines will listed on the NAEP website in the next few weeks. Jim Roberts was an environmental professional who committed a tremendous amount of time to NAEP and its members. He always stated that you have to participate in the profession in order to benefit the most from it. He wrote countless articles and encouraged members to engage in discussions on environmental topics including environmental ethics. He felt that ethics was important, considering the work that environmental professionals perform and the many factors and players on both sides of an issue that could sway a science- based decision. He also felt that adherence to the NAEP Code of Ethics and Standards of Practice for Environmental Professionals was paramount for environmental professionals. In 2003, Jim Roberts was named a Fellow of NAEP for his lifetime of contributions to the organization. Jim passed away in November, 2007. To memorialize his contributions to NAEP and the environmental profession in general, NAEP developed the Jim Roberts Memorial Scholarship.